Did you know that most fires happen at night? If you have a hearing loss, there is always a risk that you will miss the smoke alarm signal in the event of a fire. 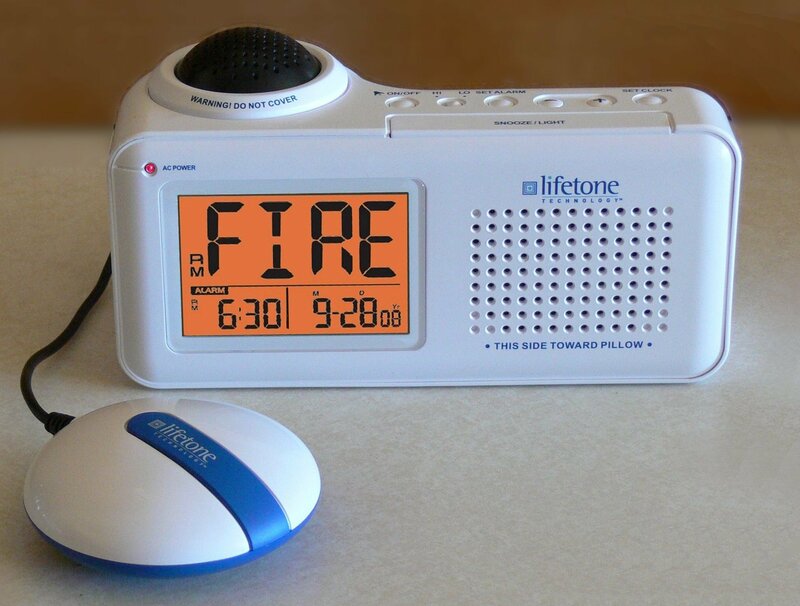 The Lifetone HL alarm clock and fire notification system introduces a ready-to-use fire safety solution that works with your existing T3 smoke alarms, securing your home and protecting the ones you love. Safety first, even during a power outage! The battery back-up activates all alerts, including the audible, visual and tactile notifications, for up to 7 days after the power goes out (batteries included). This product is an all-in-one wake up and fire notification system - now you’ll have less clutter on your bed-side table and you’ll be sure to wake up on time with the loud audible, low frequency sound as well as the vibrating bedshaker when your wake-up alarm is activated.